“Toy Generals” is a real-time strategy where a player acts as a commander of a limited toy soldiers army. In the story part of the quest, a player is supposed to release the house from enemy invaders. Seven unique soldiers are available for this purpose, as well as an artillery and airpower support. Tactical Points are considered to be the cornerstone upon which the strategy is built. These Points can be spent on performing any actions on the battlefield and can be restored at a certain rate (depending on the current level of the General), limiting the amount of simultaneous actions of a player and forcing him to make more precise and calculated decisions. Such play mode will make speed gamers and gamers who prefer deliberate decisions equal. - an epic battle with the arch villain and his deadly machinery. - development of soldiers’ skills and their upgrade. Besides, the developers plan to hold regular contests for players who actively take part in the process of game development. By the end of each contest stage, the most active participants will receive souvenirs such as tin or plastic soldiers from the game, as well as posters and T-shirts. On April 11, 2018 “Toy Generals” will come out for early access for PC on Windows operating systems. The price amounts to 9$. ARJunaGames was founded in 2017. The team consists of three people: a programmer, a marketing manager and a game designer. 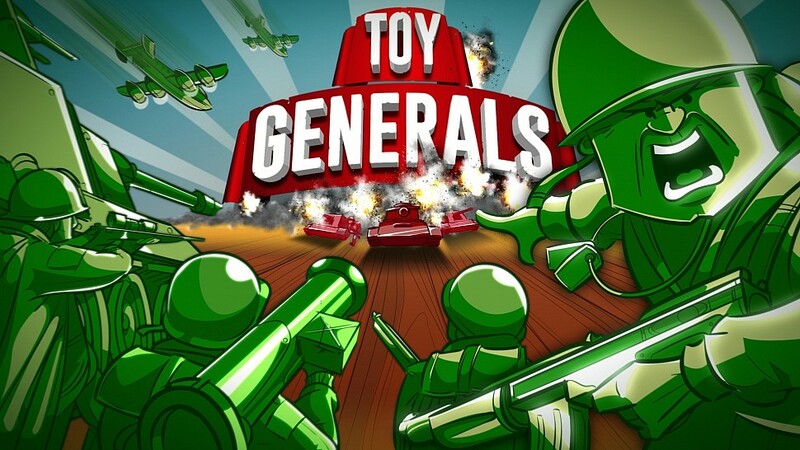 “Toy Generals” is the first project of the company.